Submitted by Steve on Mon, 27/07/2009 - 17:48. It can be difficult to understand the investment opportunities available to Creative businesses. So, Business Link West Midlands, Screen West Midlands and Advantage Proof of Concept have designed a series of FREE seminars to provide you with information on the range of funding support available to help develop your business. Submitted by Steve on Mon, 27/07/2009 - 12:47. Join us for an interactive session and learn what key things you need to implement to make sure your website is a success. By using real-life case studies, we will look at the importance of design and online marketing to demonstrate how you can successfully market your website. Learn how you can collect visitor data to benefit your business further and how social media can make a real impact and provide endless marketing opportunities. Whatever stage your business is at with your website strategy - then this session will help you shape the right plans to make sure your business is a success online. As part of our commitment to bring you up-to-date business advice in a way that suits your business, we are now launching our popular Making the web work for your business event as a downloadable webinar. Get the same event content and advice but from the convenience of a location to suit you. This 45-minute webinar covers all of the content outlined above. Booking onto one of our events or onto our webinar is easy, visit www.howtowithbl.co.uk to get your login details. Your business is only as good as the plan it is built on, so it goes without saying that business planning is fundamental to your business' future and success. Join us for an interactive session where we look at the importance of staying on top of your plan and how to build in robust strategies to ensure your business is prepared for sudden market changes. Also discover how implementing a credible business plan can help tick all the right boxes for future investors and potentially raise additional finance for your business. This session is definitely a win-win event for any business wanting to build for the future. Presentations are huge in business - they can be the key to winning new contracts and they can have a huge bearing on how your business is perceived by your customers, competitors and the general public. The workshop will conclude with a Dragon's Den style presentation exercise where groups are asked to put together a pitch and deliver a presentation. Please note: Only 2 people per business will be accepted on to this workshop. Submitted by PhillEvans on Sat, 18/07/2009 - 10:58.
arty as well as all the usual facilities and entertainments of the site. 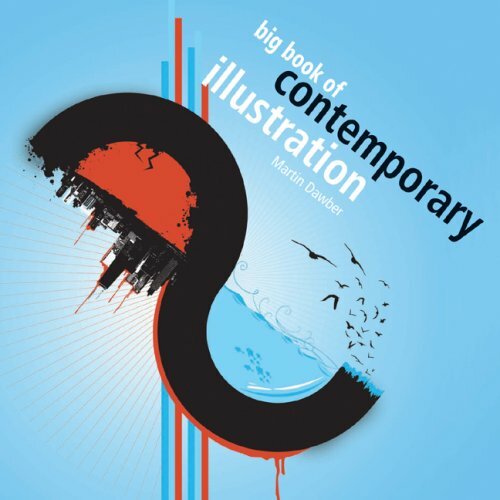 Big Book Of Contemporary Illustration. Submitted by PhillEvans on Tue, 14/07/2009 - 20:15.
section. The cover (below) is by Joseph Gonzalez from Northwest Indiana. work in front of a potentially huge audience with a worldwide release. Further bulletins as events warrant! PS: The link to the book above is to the US Amazon site, its coming soon to the UK site apparently. Submitted by Steve on Wed, 01/07/2009 - 14:20. 1-day workshop designed as a technical introduction to editing using Final Cut Pro. There is an early bird discount of 10% if booked before Friday 10 July. Submitted by Steve on Wed, 01/07/2009 - 14:14. 1-day workshop which gives an introduction to video production, including an overview on camera functions and lighting techniques. There is an early bird discount of 10% if booked before Friday 3 July. COMIX TELFORD - Calling All Comic Heroes! Submitted by Steve on Tue, 30/06/2009 - 10:25. For the first time, budding young comic artists in Telford have the chance to learn from Marvel/DC/DC Thomson pro’s. For the first time since it started five years ago, Hi8us will deliver its internationally successful and innovative Comic Art talent scheme in Telford! 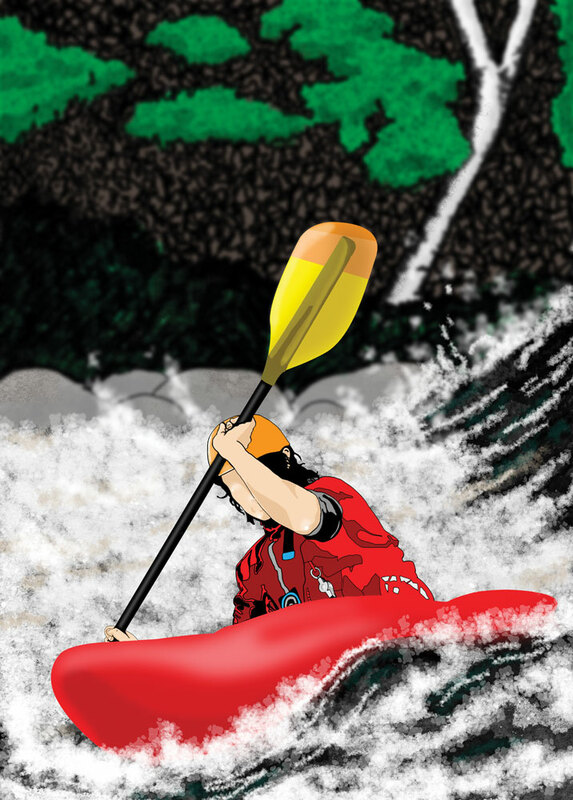 Comix Telford is a talent finding competition for budding young comic artists. The aim is to discover and nurture talented artists and support them to get into the comics industry with the help of world-class comic professionals such as John McCrea (X-MEN, SPIDERMAN, THE HULK) and Hunt Emerson (THE BEANO, WALL STREET JOURNAL, FORTEAN TIMES). 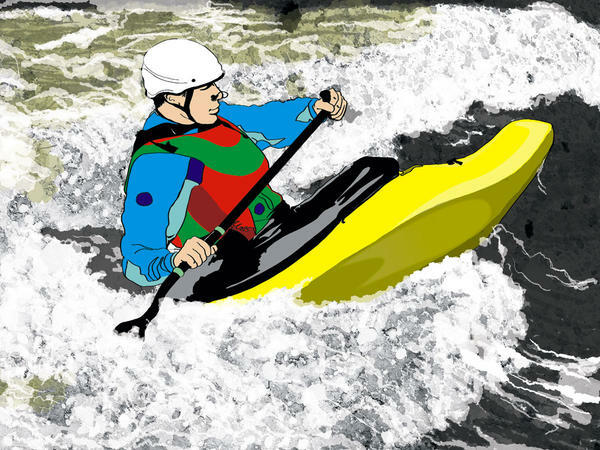 The scheme is COMPLETELY FREE thanks to Telford & Wrekin’s Find Your Talent programme and the only thing applicants need to do to be considered is send in copies of their most recent comic strips and complete a short application form. The DEADLINE for postal submissions is Friday 17th July ‘09. 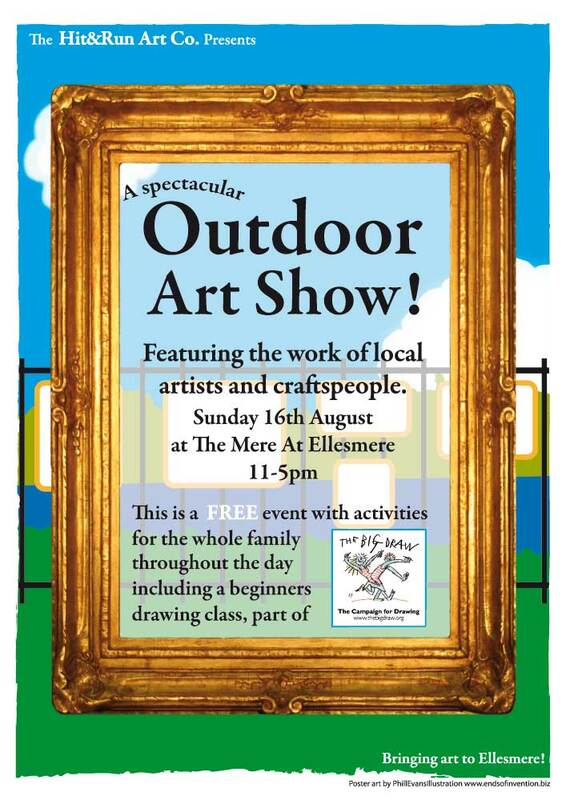 The DEADLINE for email submissions is Sunday 19th July ,09. If people want to find out more about the scheme they can attend the informal recruitment sessiontaking place at the Telford College of Arts and Technology from 4.30 pm to 6.30 pm on Wednesday 8th July. Comix Telford will prioritise 16 to 19 year olds living or studying in Telford. From July ’09 to October ‘09, 20 finalists will get the opportunity to train with the lead professional comic artists on the scheme John McCrea and Hunt Emerson as well as a wealth of other professional talent including Laura Howell (THE BEANO, THE GUARDIAN), Asia Alfasi (IMAF WINNER, BEST NEW MANGA, BLOOMSBURY GRAPHIC NOVELIST) and Andi Watson (GEISHA, BUFFY) amongst others. The invaluable experience of the professionals will be used to support and develop the talents of those on the scheme, giving them all the essential training, tips and tricks relating to the art of comics as well as a route into the industry by providing access to publishers and editors. The scheme will culminate in the trainees having their first comic book published and launched at the British International Comics Show in October. Hi8us Midlands is part of an established charity with an impressive long history of utilising the skills of experts to guide aspiring artists and media producers, with professional results. “We run a range of arts & media projects in a range of communities up and down the country; we come across a great deal of untapped talent and this scheme is just one way of meeting the needs of the gifted individuals we know are out there.” Kulwant Dhaliwal, Hi8us Midlands Director. “I think this is a wonderful opportunity,” comments John McCrea “when I was breaking into the industry I would have loved the chance to be on this project”. Submitted by Steve on Tue, 23/06/2009 - 18:13. Creative content producers need to take project management seriously, according to one industry expert. Steve Stopps, from Leamington Spa-based Blitz Games Studios, says that many creative companies need to reassess how they run their operations. Steve, who is the keynote speaker at Birmingham City University's ‘Creative Networks' event on Thursday 25 June, believes that project management is increasingly important, given the growth of the creative industries sector. The creative industries are expected to employ 1.3 million people by 2013 - more than the financial sector - and will contribute £85 billion to the UK, up from £57 billion in 2009. A quarter of those employed in the UK games industry are located in the West Midlands. Steve said: "This is a multi-billion dollar industry, which strongly performs even during the recession. "The current generation of the highest quality AAA games are similar to Hollywood blockbusters. If a company is going to risk huge amounts of money on a product it needs to gets its project management right. A huge amount of skills and disciplines contribute towards the end product and it's important that these are properly managed. "With the possibilities offered by digital technologies there is a real opportunity for the screen and sound based sector to capitalise on the growth in demand for its products, but it has to get serious about managing content production. "Steve will be speaking at Birmingham City University's city centre campus at Millennium Point, Curzon Street on Thursday 25 June, starting at 6pm. Submitted by infosol on Tue, 23/06/2009 - 09:48. The North Staffordshire Creative Economies Forum (NSCEF) has been developing a new web portal to support the area's creative economy. We now need an enthusiastic, multi-skilled communicator who can capture and connect all the good things in our area. The person awarded the contract will work on a freelance basis, reporting to the manager of Cultural Services and the communications lead of NSCEF. You will commission, create and share content related to our creative industries, with a wide range of networks. diverse creative communities of North Staffordshire and develop content that will engage people in many different ways. We may be able to coordinate training for a strong candidate who needs development in a particular area. This is an opportunity to be at the centre of exciting, creative central web portal in North Staffordshire. The editor post is funded for 2 years; the applicant must be self-employed and is fully responsible for tax and national insurance contributions. Submitted by infosol on Fri, 05/06/2009 - 08:40. Attached is a copy of the final report of the Digital Media study which was completed by Worcester research on behalf of the Chamber of Commerce funded by the Rural Regeneration Zone of Advantage West Midlands. The research was conducted to find out the size, scope and needs of the sector in Herefordshire.